YoYoMOM's are some of the most dedicated parents in the world. And now we honor them with a custom T-Shirt to wear proudly. Presented by YoYoFactory this is the YoYoMOM T-Shirt. 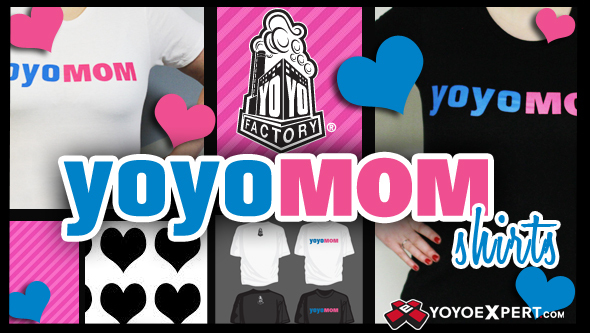 Printed on a Women's 'cut & fitted' T-Shirt, very soft, and available in black or white it is the perfect gift to honor the devoted yo-yo mother in your life. Material: 100% Combed Cotton Jersey - not pre-shrunk.